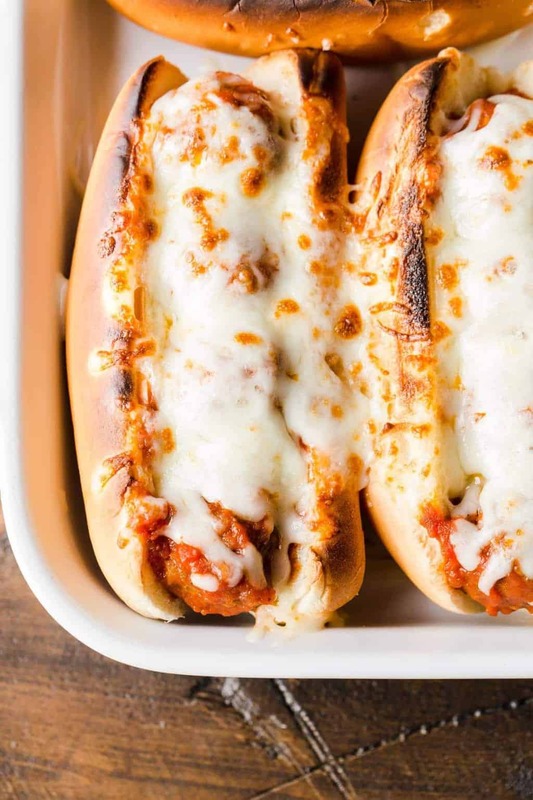 Game day food doesn’t get much easier than these 5-ingredient Easy Slow Cooker Meatball Subs! Need to feed a hungry crowd of sports fans? These Easy Slow Cooker Meatball Subs come together quickly and couldn’t be simpler to pull together for last minute gatherings. Tip: I use a combination of mild mozzarella and sharp provolone cheeses, but you can use one or the other if you prefer. Since the meatballs warm in the slow cooker the day of the party, all you have left to do is give the subs a quick spin under the broiler to evenly melt the cheeses and toast the bread before serving to your guests. This recipe is easily doubled or tripled for larger groups, but you may need to use an additional slow cooker to handle the increased ingredients. Round out your party menu with any one of our favorite dips for football fans and big batch cocktails for game day. Oh, and don’t forget dessert – because every party needs a sweet ending. Place frozen meatballs and sauce in slow cooker. Cook on low for 4-6 hours. When ready to serve, divide meatballs among buns and top with shredded cheese. Broil until cheese is melted and bun is toasted. Serve warm. These pictures are making me so hungry! I love meatball subs but kinda forget about them. I need to try your recipe ASAP! Isn’t it funny how the simplest recipes can sometimes slip our minds when we’re thinking about dinner? Hope you enjoy these, Andi! definitely craving a bite of these subs right now.. they look so cheesy and delicious. Me, too, and it’s not even 8am! Looks yummy. I love a good meatball sub. My hubby usually makes them but with this recipe, I might try my hand at it. It can’t get much easier than this, Erica! 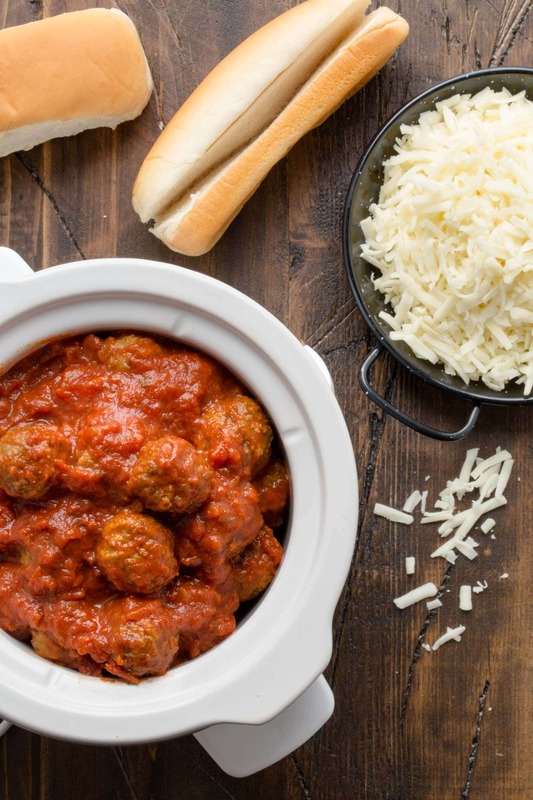 A bag of frozen meatballs, a jar of sauce & 4-6 hrs in a slow cooker …. is that a recipe? Sometimes simple can be quite tasty! Been lookIng for a recipe like this, yes! !